Though knocked down early by Team Spirit, TNC escaped tournament death on home soil. Though it is no longer an official Dota 2 Major, Galaxy Battles II: Emerging Worlds has pushed on with its matches anyway—albeit with half the original field out of the picture. The first set of games concluded yesterday, with two teams now eliminated from the tournament. The first day started off on a sour note for Filipino fans, who had to witness CIS squad Team Spirit send hometown favorites TNC Pro Team to the lower bracket early on. 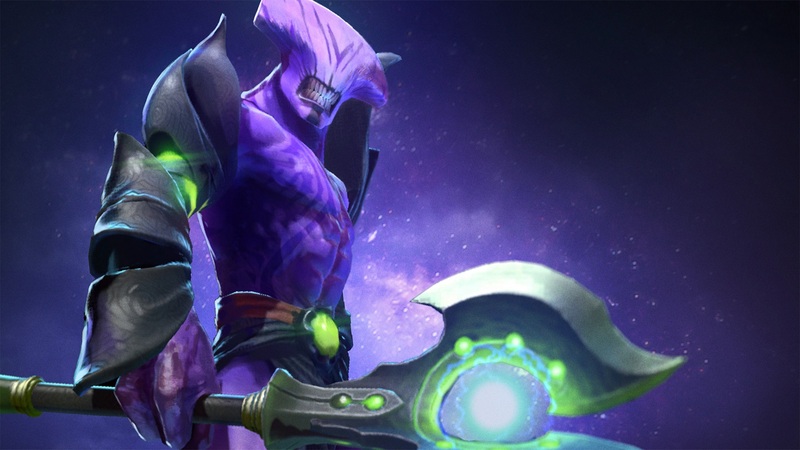 In game one, it was Alexander “DkPhobos” Kucheria who wreaked havoc upon TNC, dealing more than 26,000 points of damage to their heroes on his Venomancer. Ilya “Illidan” Pivcaev then hushed the hostile crowd in game two with some masterful play on Faceless Void, with some exquisite Chronospheres to boot. After the first bout, it was Vici Gaming J Thunder’s turn to take care of business versus Infamous. The Peruvians could not stand up to the Chinese, who likewise swept Infamous in the best-of-three series. Not even Mariano “Papita” Caneda’s play in the mid lane could save them from the wrath of Liu “Sylar” Jiajun and Liu “Kamma” Chang. In the third match, the star-studded lineup of Evil Geniuses ran roughshod over Indonesian squad PG Barracx—who stood no chance whatsoever against Clinton “Fear” Loomis and the boys in blue. In fact, the whole series barely lasted an hour in total, with the first game clocking in at 23 minutes and 50 seconds and the second at 33 minutes and 57 seconds. Brutal. The series between OG and paiN Gaming was the only one that actually went all three games, with the Brazilians taking the first map over their European rivals. Unfortunately, they could not ride the momentum into the next two games, even with Aliwi “w33” Omar standing in for them. OG stopped the paiN Gaming train in game two, albeit with some serious effort and sweat thanks to an almost hour-long match. They then sealed the Brazilians’ fate in game three with a 15-1 performance on Juggernaut by star hard carry Roman “Resolut1on” Fominok, and teamfight setups from coach Sebastian “7ckngMad” Debs on Magnus. The first lower bracket games were also held yesterday, as best-of-one sudden death matches. TNC looked a little shaky to start with against Infamous, but showed signs of life towards the late game with a bizarre but highly effective Battle Fury-equipped Phantom Lancer. Marc Polo Luis “Raven” Fausto posted some eye-popping numbers with the hero, notching almost 750 gold per minute on a 13-3 kill-death ratio. Unable to stem the tide of the phantom army, Infamous tapped out after 35 minutes. After suffering such a crushing defeat at the hands of EG, it seemed that PG Barracx were unable to recover at all. Their sub-30 minute loss to paiN Gaming would certainly suggest that—their cores demolished every single player over on the Indonesian side. William “hFn” Medeiros and w33 himself kept everyone on PG Barracx firmly out of the picture, allowing their team to coast to the finish line comfortably. Galaxy Battles II continues tonight at 9pm ET, starting with Team Spirit vs VGJ Thunder. Catch the action from the Philippine Arena on Beyond the Summit’s official Twitch broadcast.